I’m a professional photographer based in Norfolk, but just a stone’s throw from the Suffolk border. That makes me perfectly positioned for shoots in either county. I’m primarily a wedding photographer, but also do my fair share of family photoshoots, commercial and event work too. I’m one of those lucky few who has been able to turn my passion into a career I love. Previous jobs – from sales and marketing roles, to catering and hospitality – had one thing in common. They made me realise that working with people is my strength. I like getting to know people. And, in the main, they like me too! My laid-back approach to photography tends to put people at ease. The resulting shots are natural and really capture the essence of those individuals. I’ve been a wedding photographer for over 10 years now, but no two occasions are the same, and I love that! Photography for me is all about capturing the little moments, as well as the big ones! Little looks, cheeky smiles, and the smallest details all add up to create a wonderful record of your day. Your pictures will be something to treasure for years to come, bringing your memories to life. If you’re looking for a professional photographer in Norfolk or Suffolk, please take a few minutes to look at some of my photos. They will give you a good feel for the style of my photography and the quality of my work. If you like my style, you’ll also want to know if you’ll get on with me! I’m always happy to meet couples and families to discuss your plans, whether it’s over coffee and chocolate cake or even a glass of wine, I’ll be there. We got married in March and had Mark as our photographer. We can’t thank him enough for capturing some brilliant shots. All the photos were amazing and we had a wonderful selection of black/white and colour. He was so professional right from the moment we booked, until we received our memory stick through the post, which in itself was beautiful. He made time for us and came to our home a few weeks before the wedding to go through everything that would happen on the day. He made us feel very confident and remained so organised on our big day. He made sure that we made time to get personal shots too, as these capture those wonderfully memories. When we look back now, we are so pleased he took the time to do this for us, as I have never seen such wonderful photos. We would highly recommend him to all. He is friendly, efficient, organised and highly skilled. Thank you again Mark. We had Mark photograph our recent wedding. He started at the church before the arrival of the groom and guests and was with us all day until the last dance, as we discussed in our pre-wedding meeting. He took all of the pictures that we requested, group/family shots, as well as informal shots throughout the day of our guests and of elements of our wedding decorations etc. using his own artistic skill. 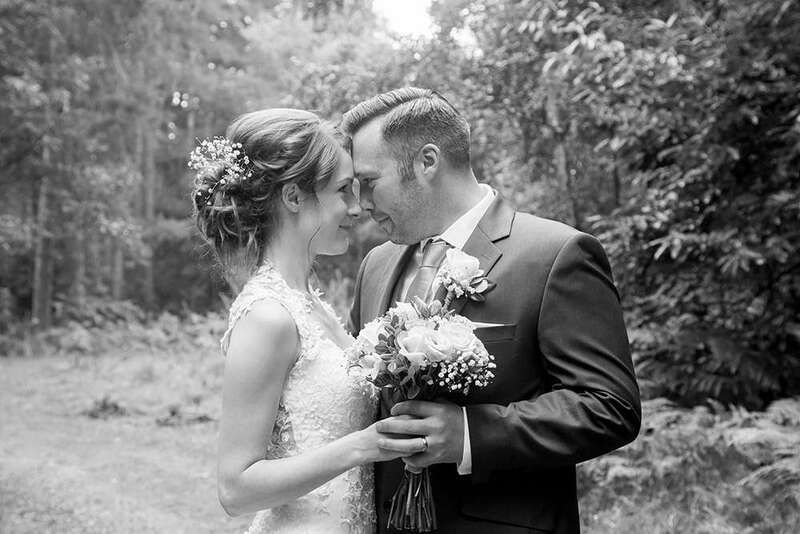 We have a wonderful collection of photos to remember our special day by and when we first viewed them we were blown away and surprised by some of the things he had captured. We are so pleased we picked Mark to be a part of our special day and capture the memories we will treasure forever. Mark took our lovely wedding photos. He is very friendly and polite. Leading up to the wedding he was very good with communications and we had a meeting with him a couple of months before where he made sure all details were correct and gave us a run through for everything on the day. We were so glad we found a photographer who we felt comfortable with. We had all our photos sent to us within a week which was brilliant. The quality of photos was amazing and had a few canvases made using photos he had taken. High recommended. Would certainly use him again and recommend to friends/family. Mark managed to capture our special day and provide us with a set of photos that we will cherish forever. He was able to organise all of our photos and guest to make the challenge of getting them all done in a short period of time easy and hassle free. Mark even stepped in to sort out dodgy looking button holes and was there whenever he was needed. Mark spent the whole day with us, from the bride getting ready at 10am to us having our first dance at 8:30pm. I would not change a single thing. Mark provided us with exactly what we wanted and I would recommend him to anyone. This is how wedding photography should be. We used Mark for our wedding in August. We had our photos taken in the woods. Unfortunately for us, the weather was not on our side; but the rain and muck didn’t deter Mark from laying down on the floor in his best clobber to take some lovely photos! He also bought two large white umbrellas so we could use them to shelter from the rain and actually made a lovely feature for our photos. All in all, a great service. We chose Mark after seeing his work at a wedding fair and we were really impressed. We could not have picked a more fantastic photographer! Mark is brilliant at putting everyone at ease and capturing the special moments from our day without us evening knowing he was there! Mark had such fantastic ideas for our group shots as well as our couple shots, everyone has said how beautiful each and every picture is. We cannot thank you enough for our incredible pictures of our perfect day, we will always cherish them! My husband and I chose Mark after seeing his work from our friend’s previous wedding. We were blown away by how he captured their special day. We wanted that for our day too! Sure enough Mark didn’t disappoint. How he conducted himself and organised our guests on the day was great. The photos he took captured the feeling and essence of our day entirely. I’m more than pleased. I would recommend Mark over and over again.